This is the story of Belfast's trolleybus system, told through an eclectic collection of over 200 photographs, from its opening in 1938 to its closure in 1968. During that time it had the largest number of operating trolleybuses in the UK outside London Transport's enormous fleet. 246 trolleybuses ran over 37A miles of route and but for World War II, and a subsequent change of policy by a new general manager, the size of the operation would have been even greater. Rather than look at the trolleybus routes David Harvey concentrates on each of the 246 vehicles, showing them in their geographic, historic and social settings. 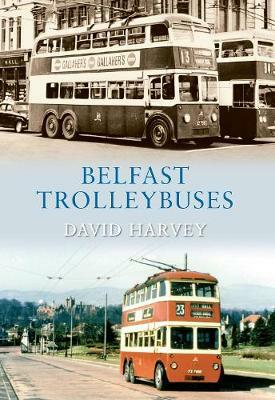 Belfast Trolleybuses From Old Photographs is the latest in an impressive repertoire of transport titles from this prolific author.